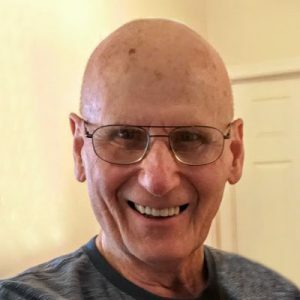 Steve, loving husband, father, grandfather and great-grandfather closed his eyes and went to be with the Lord on March 19, 2019 at the age of 85. He is survived by his loving wife Ana Jancikic of 62 years; daughter Zdenka Bradshaw (Jeff); son Jake Jancikic (Jan); grandchildren Steve (Kristin) Jancikic, Lucas Jancikic (Ashley Morrison), Kelsey (Dave) Sohnchen, Lita (Jay) Beath, Farrah-Lee (Rob) Austin, Cole Barry (Shanese Fryer-Thomas), Taylor Morrow and Ryan Bradshaw; and ten great-grandchildren. Steve is predeceased by his mother and father, two brothers, two sisters and daughter-in-law Carol Jancikic. Steve moved his young family from Croatia to Kelowna, BC in 1972 for a better life. He was a Finishing Carpenter/Cabinet Maker by trade, and his hard work, kindness, gentleness and love for life was felt by many. He loved animals but had a special soft spot for his beloved cat, the late Macan. We are sure there’s not a single dog that passed Steve along the Mission Creek Greenway that didn’t get a friendly pat from the “old gentleman” that spoke broken English. Steve loved all aspects of the outdoors, especially fishing and European wieners over an open fire. His joyful nature spilled over to all who knew him – especially to his grandchildren and great-grandchildren. With his quirky sense of humour and impeccable punchline delivery, he made us smile and love him just that much more! May the fish be bountiful, and the sun shine all day. You are missed and loved by all and will remain in our hearts and memories till we meet again. A Mass of Christian Burial will be held on Saturday, March 30, 2019 at 10:30 am at Corpus Christi Catholic Church, 750 Rutland Road North, Kelowna, BC with Father Pat Monette officiating. Interment to follow in Kelowna Memorial Park Cemetery. In lieu of flowers, donations may be made to the Heart and Stroke Foundation, www.heartandstroke.ca. The service for JANCIKIC, Steve is scheduled for Mass of Christian Burial will be held on Saturday, March 30, 2019 at 10:30 am. Below you will find the map for the service location and the contact information should you have any questions. Please accept our deepest condolences for your whole family’s Loss. May GOD BLESS you with Peace and Harmony. Zdenka “Z”, Jeff and Ryan .. we are so sorry to hear of the loss of your father and grandfather. Our hearts and prayers go out you you all. May you find comfort and peace during this difficult period with the thoughts and prayers of family and friends. Our hearts are saddened by your loss. Please accept our deepest sympathies. So sorry for the loss of your dad, grandpa and great grandpa. May your memories of him and the support of your families get you through this difficult time.